Relationship. One word that, more than others, describes what happens during the summer at Impact. Everyone involved grows into a deeper relationship with Jesus and a deeper relationship with other Christ-followers. These relationships carry far past the summer and are life-changing for all. It’s a significant word for the Barrow family. Like so many in Houston, Hurricane Harvey displaced the Barrow family. We met this sweet mom and her four children because of Impact’s long-standing relationship with and presence within the Clayton Homes apartment complex. When the near-by bayou overflowed, the Barrow family left all their belongings behind and waded through the chest-high waters to safety. They found shelter in the Toyota Center, but that only lasted for a short time. 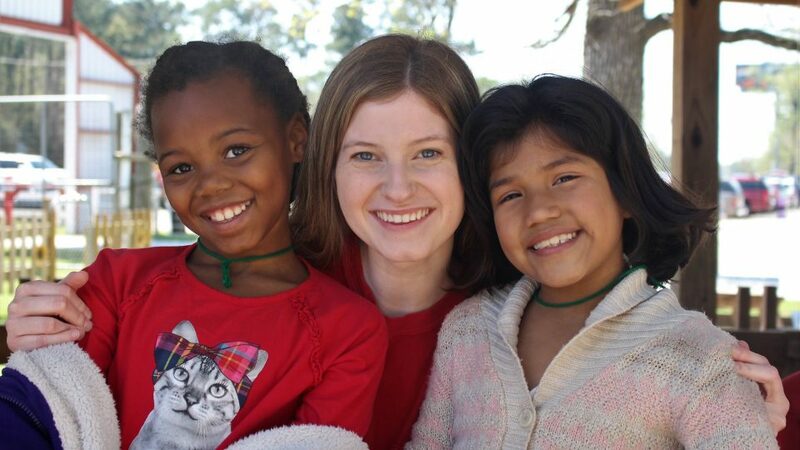 Our relationship with the Barrow family began with the four children attending Impact’s summer programs in 2010. They continued to come to our Thursday night Bible studies throughout the school year and are now involved in our mentoring program. Because of the long-term relationship that began with our summer programs, Impact, and others who know the Barrows through Impact, have been able to help them recover after Harvey. Everyone needs relationships they can trust and lean on when life gets hard. If Harvey has taught us anything, it is that God truly is an “ever-present help in times of trouble. This summer the Barrow children and 396 more incoming Kinder-6th grade children will attend one of two concurrent 6-week long VBS camps at Impact this summer. They will attend 4 full days a week of Bible instruction, singing, fun activities, literacy classes, service projects, field trips, and meals. For 8 weeks, 150 Middle School and High School youth will attend daily summer camp-like activities, Bible lessons, and service projects, among other trips and camps. Our desire is that these 550 youth and children will experience the love of Jesus and build deep Christ-centered relationships; that they will give their life to Christ and learn how to live as responsible Christian men and women in this world. The cost for one child to be involved in summer activities (minus what visiting youth groups give) is $175. Many friends of Impact (or better said, friends of children) support one or more of them. If you are moved to help, please send your gift to Impact earmarked “Summer Fund.” We, and our children, will be very grateful! Thank you for the continued time, talent, and treasure you pour into our children!